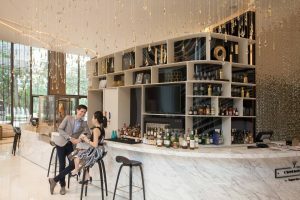 Located along the arterial road that leads to Singapore’s iconic Orchard Road sits a stunning new lifestyle hub – the 254-room Novotel Singapore on Stevens and 518-room Mercure Singapore on Stevens, along with an eclectic array of F&B outlets. Step into this lush urban paradise equipped with an infinity pool, lap pool, tennis court, 24-hour gym, 9 meeting spaces, ballrooms and 4 hotel restaurants and bars, with 7 additional dining outlets. 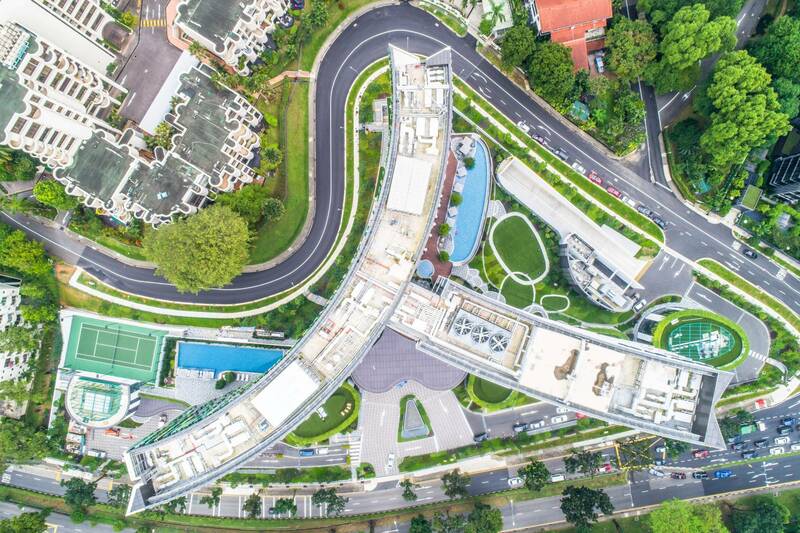 Awarded Gold in the 2018 Melbourne Design Awards for its creative architecture, the Novotel Singapore on Stevens and Mercure Singapore building tells a unique story from its aerial view to the elements around the hotel. Organic pods spill out from under a hotel tower, and engage with the surrounding urban context, enticing in the public and creating a destination. Bridal Veil creepers form a floral crown to these pods, complementing the meadowed groundscapes below and, in unison create a lush garden setting ideal for al-fresco events.The glistening tower above reflects a more urban presence, in keeping with the surrounding skyline. The Chinese character 人 means human, in honour of the humans who built, work, visit and stay here. It also carves the triangular site into three distinctive public places: a grand drop-off space to the south that sets the hotel and allows for an inspirational arrival sequence; a more secluded hotel pool and courtyard space to the east; and a functional sports zone to the west. Relax and make the most of your stay in our modern Novotel and Mercure smoke-free rooms. Enjoy full-serviced comfort and serenity set amongst lush greenery alongside high speed Wi-Fi, web TV and eco-friendly shower amenities. Plunge into bed and be assured of a comfortable and relaxing night’s sleep in our high quality plush bedding. Business or leisure? We’ve got it all covered. 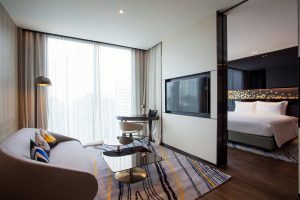 Modern and contemporary decor to offer you a quiet, comfortable retreat in the heart of vibrant Singapore, designed with your comfort in mind. Share good times with friends and family over international wines and inspired cocktails, along with the finest International cuisine. Explore a range of flexible event spaces to suit your event, from board meetings to large presentations or lavish weddings.